Some type of nut – I used mixed unsalted nuts including peanuts, cashews, pecans, etc, but if you have a favorite you can definitely use that. Preheat the oven around 325/350. Cover a rimmed cookie sheet with tin foil. Lay out your pretzels so they cover the sheet. 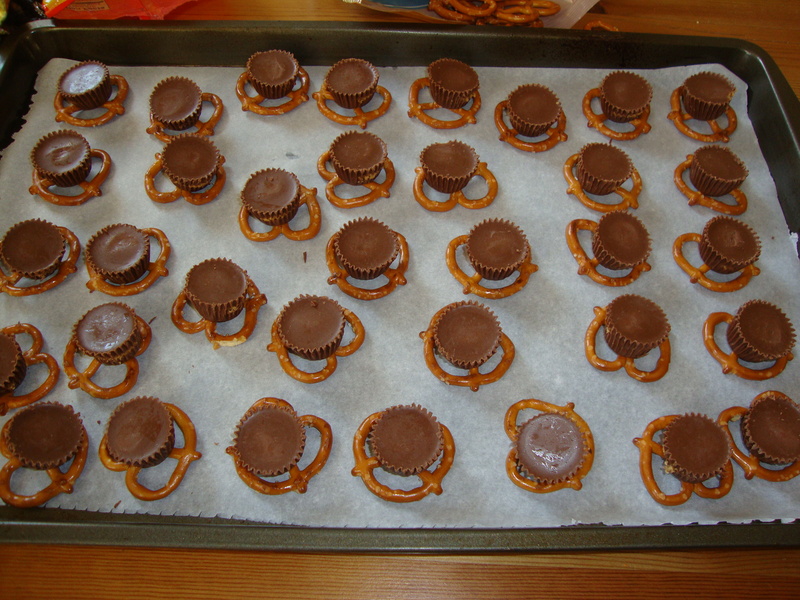 Place a Reese’s cup on top of each pretzel. Place in the oven until the Reese’s cups begin to melt. Take out of oven and immediately put a nut on top of each while they are still hot and gooey. 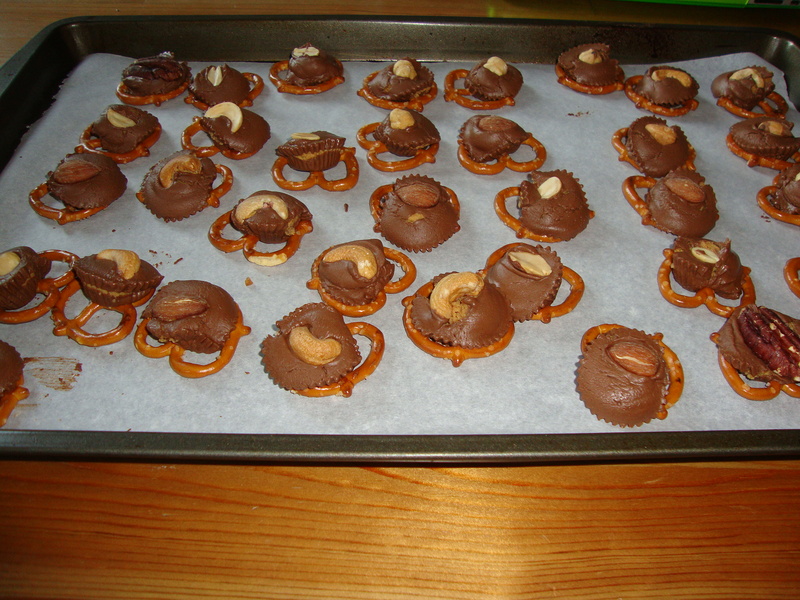 They might not be the prettiest things to look at, but chocolate, peanut butter, and the salty pretzel plus the nut, yum. Kids will like making and eating this one too. I’ve heard Rolos work well too. Previous Post Eggs or Pudding?